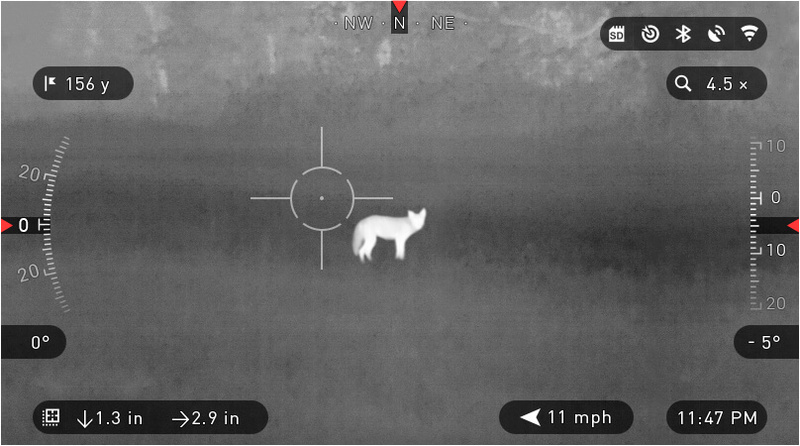 In 2016 ATN has changed the landscape of thermal hunting! 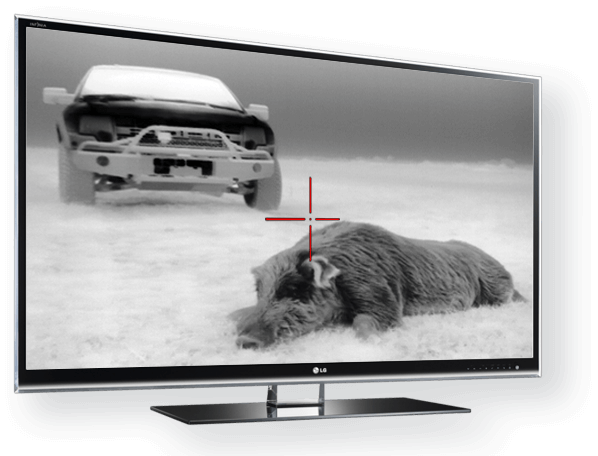 Smart ThOR-HD scopes powered by Obsidian Core have raised the bar like never before. Top of the line. I cannot brag about the ease of use and sophistication of this scope. Zeroed my AR in within 5 minutes of adjusting my ballistic and environment settings. 14 coyotes down the week of Thanksgiving. Truly incredible piece of technology. 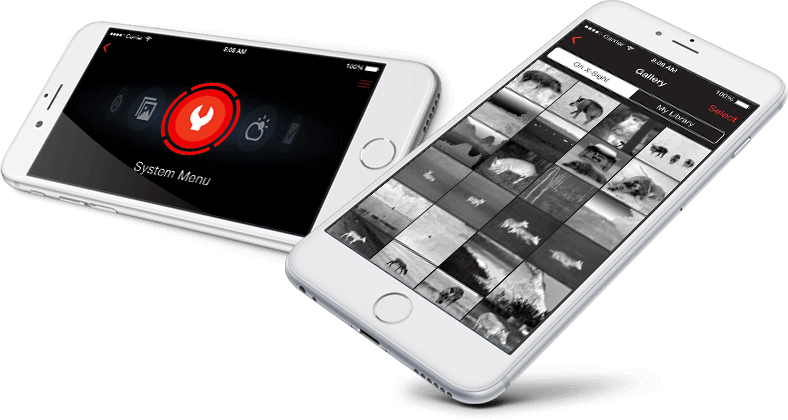 Software updates have increased the functionality even more within the last 5 months. Bravo ATN! This is a great scope. The battey pack is a great addition to keep from having to change batteries on a long hunt at just the wrong moment. Great detail and video. Takes a little getting used to if you are familiar with older models but well worth it. Getting better each generation, I would recommend it. After viewing the new 640 screen over the previous it's getting better for older eyes. This scope picks up well. 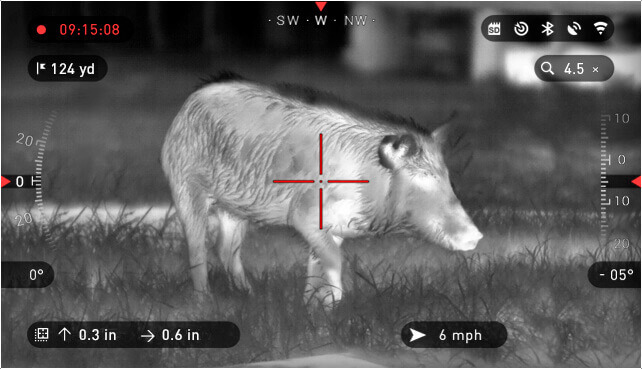 I can see critters such as owls, possums, raccoons, rats and larger on the 2.5-4.0 zooms very well up to 100 yards, your mileage will vary based on your eyesight. Works well on .22lr rifle. Sometimes I like to just remove the scope and wander around looking for stuff in the pastures and woods. The prices are still a little expensive, but as with any technology leap, eventually they drop. If you hunt at night or just want to view bumps in the night and can afford it, I would recommend it. Load the latest firmware if not already on from the factory, you get extras like new color views and better pixel correction. Use a heat pack or heated piece of metal on a target to zero in at your desired yard of POI, that worked for me. 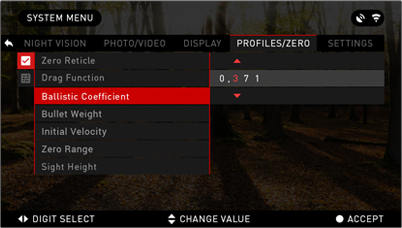 The ballistic settings help with sighting in and compensation drop; I recommend using it if you are long range hunting. I only tested it past 100 yards and it's more accurate that I would have given it credit. A few more points below: - I have not used the GPS or WiFi features yet, so I cannot comment on them. - Battery life on the four disposables is short, about 2-3 hours. I purchased the extended battery pack and it lasts about three times as long. is rechargeable and fits on the stock without any problems or interference - The menu may seem daunting at first, but after about a 10-20 minute practice and learning curve, it is easy to navigate. - Once you crank up really high zooms it gets grainy, but I don't use it past 130 yards anyway. - Read the directions carefully. - This is not made to be used during the daytime but you probably already know that if you are looking hard at one of these. - As a wish list I would like ATN to make options of a longer and shorter eyeshade rubber view piece. If you have a AR style it fits well with stock collapsed. 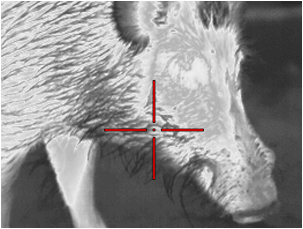 If you have a hunting rifle with longer LOP, the eyeshade may be too short to reach even with a picatinny adapter rail, which means you will be pushing your face forward, not pleasant when I test mounted it on a .308 hunting rifle. Does everything as advertised. Great for the price. Having already purchased an ATN Thor thermal scope, I picked this one up based solely on the price. 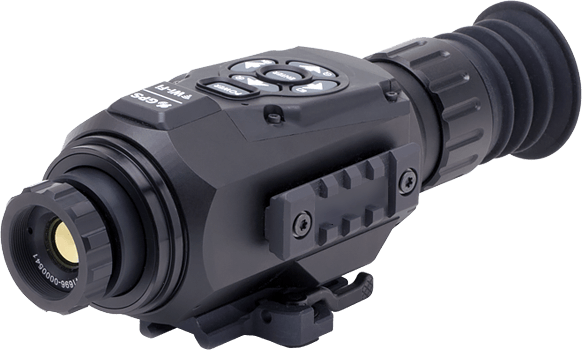 This product is a great product for intro to night vision hunting. It performed exactly as advertised, and the additional features (video/recording/ballistic calculator) were amazing for the price. The one shot zero worked quite well. Even though I returned it for the lower magnification, I would buy it again if I found myself in need of the 5-20x. It was just a little high for what I was using it for (hog hunting). 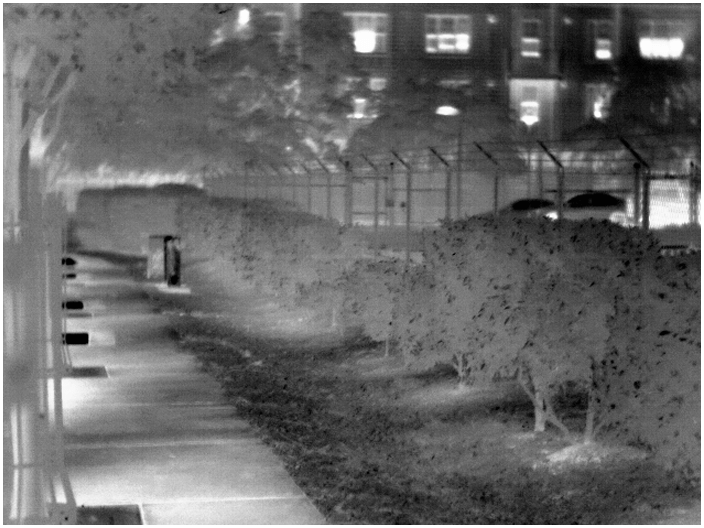 The 3-14x is exactly the same, but provides a wider FOV for obtaining targets a little quicker. Ballistic calculators were never this easy. 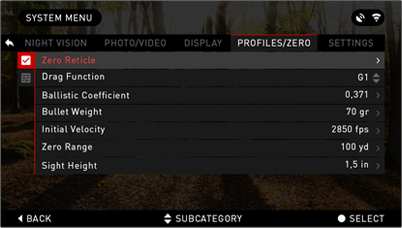 No more charts, complex reticles, and calculators. The ATN Obsidian Shooting Solution does it all. Range in with your Smart Range Finder, enter your wind readings and let the Obsidian Core do the rest. Turn through the wind, change your incline angle, adjust distance and instantaneously your point of impact will shift to have the perfect shot every time. 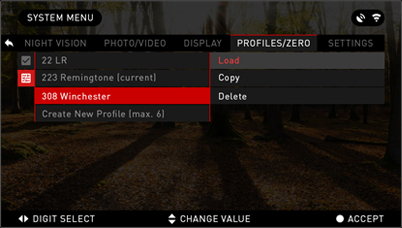 Save all the ballistic and zeroing-in data in the profile manager for every weapon that you plan to use the ThOR-HD on. No worries about resetting everything up every time. Just create a new profile and you are ready to go. Make capturing your experiences in stunning HD a regular part of your adventures. Don’t miss another opportunity to capture that once in a lifetime moment. We carefully designed our smart devices taking proper account of the interaction between them and the people that use them. The ThOR-HD next-gen barometer gives you precise accurate data so you can make sure everything is dialed in!